There are less than 1,000 left in this beautiful country – both wild and domesticated elephants combined. We chose Mandalao Elephant Conservation because it is one of the few camps that is truly elephant friendly. They rescue working elephants allowing them to live out the rest of their lives eating, walking and playing on hundreds of acres. 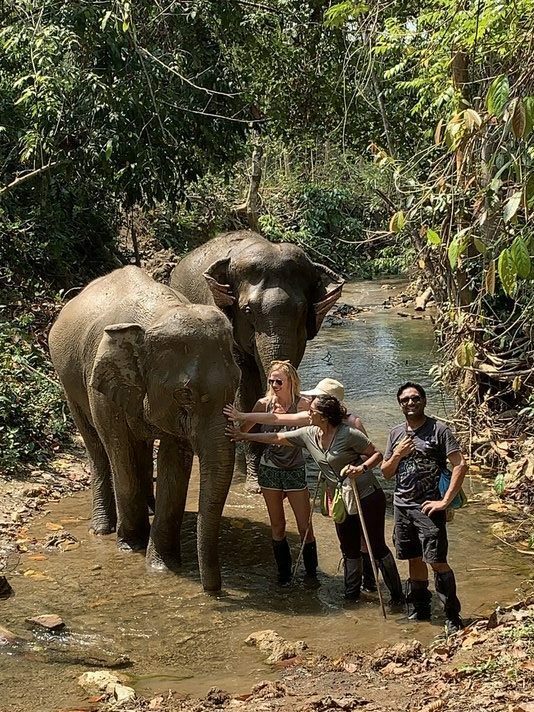 Basically just being elephants – no lugging tourists on their backs, no shows, no activities that endanger the health and well-being of these gentle giants. 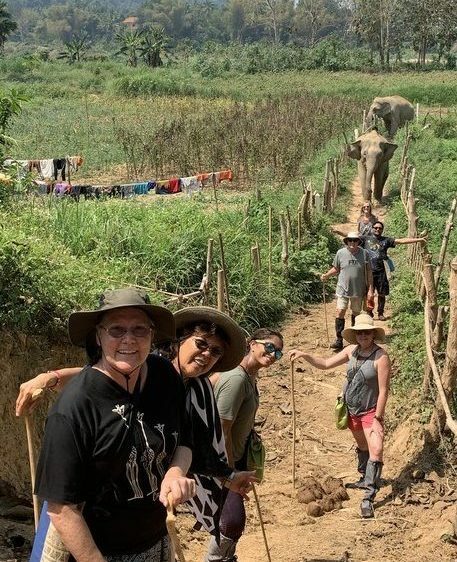 Our group met six of the ten rescued elephants at Mandalao during our full day encounter. We fed them bananas and sugar cane. We had first trekked 8 kilometers through the jungle with a mother and daughter duo. We embraced the elephants’ trunks and kissed their rough, prickly skin. Our guides told us an elephant can look into your soul, and that’s exactly what we all felt. Each of us experienced an intimate connection with these majestic beasts – one we will never forget. While meeting elephants was the highlight of our Laos trip, we also explored many other amazing sights in and around Luang Prabang. 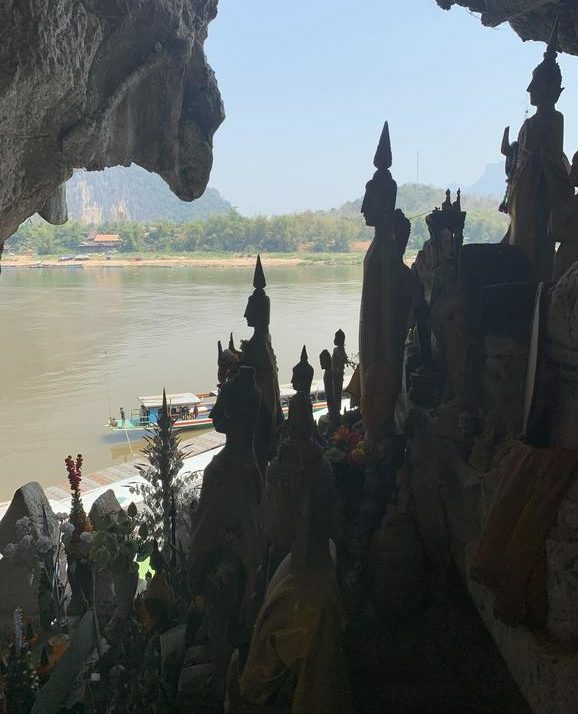 We boated down the Mekong River, visited the famous caves of three thousand Buddhas, shopped at the Night Market, rode bikes through town and swam in the refreshing pools at Kuang Si Waterfall. We saw everything in two and a half days – easy to do in this sleepy, tranquil city. Interested in meeting the elephants at Mandalao? Join one of our Cambodia clinics that includes an extension to Laos for the experience of a lifetime! We can also help you arrange independent sightseeing in Laos after any of the scheduled Cambodia clinics.